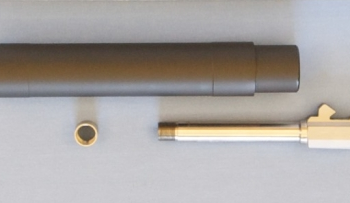 These are the best of suppressors custom made for any caliber gun. Some are in stock, most others need to be custom made to fit your gun. 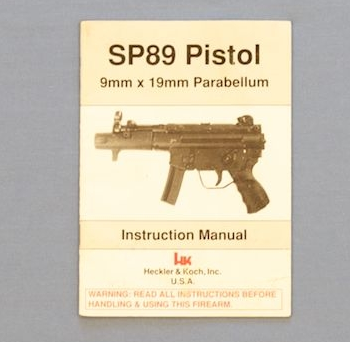 The suppressor above is designed for an MP5 with 3-leg barrel. You can send in your own barrel to have it threaded or just get a new barrel and use your old one as a spare. Barrel prices vary as do suppressor costs. Most standard barrels are not long enough to have the appropriate length of threads so you most often need a new, longer barrel. Other changes may also have to be made. Note that the use of firearms not specifically made to hold suppressors may have a shortened life span. $695.00 and up depending on model. Call for shipping and payment options. Firearm sales are Final. See FAQ for firearm purchase Rules and Regulations. This is a fully transferable suppressor. You Must be able to get a permit signature on a form 4. You can also become a dealer and purchase this, read the information in the FAQ section. It is not as hard as you may think. Shipping will be actual FEDEX rates. Florida residents add 7% tax. All NFA Rules apply.